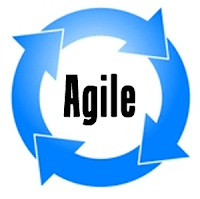 Agile – plenty of advocates for this method, as it is quick, iterative and gets results. Yet the online learning industry could be accused of being the very opposite, with long cumbersome schedules, often over-engineered content and costs to match. When training becomes a slow and sluggish response to business problems it ends up being out of phase with the business or worse out of favour. Business managers are often surprised when their request for online training will take many months not days, at 15-25k per hour of learning - oh and you’ll not be able to evaluate much, as the data is unlikely to tell you much (we have a thing called SCORM). If Learning and Development is to remain relevant, it has to get out of the slow lane, with its glacial production processes and dark ages design, all presentation and little learning. The problem is that online learning has become a media production process, where most of the budget goes into graphics, video and presentation, not learning. I’m not sure about calling someone an Interactive Designer if all the interaction they come up with is multiple choice questions, drag and drop (damn dropped it again), even worse ‘click on Dave, Ahmid or Suzie to see why they think GDPR is a great idea’ – cue speech bubble. We have to find a way to deliver online learning in minutes not months and switch away from these clumsy interactions. This means, meaningful interactions that require cognitive retrieval not mere recognition. Multiple choice and drag and drop are acts of recognition not retrieval. Click on cartoon image of person is just banal. The physical interactions (click or drag) are low retention in terms of learning. If it is knowledge, the learners need to be asked to recall from their own brain and then type or voice the answer. This has been shown to increase retention and recall as it involves effort and deeper processing. 1. Editing down to ‘need to know’ learning. Cut it until it bleeds, then cut again. Take other content and regard it as desirable but not essential and provide the detail as references contentb through links. As most of the delays in content production go for minimal or no SME input. If you use good original video, PowerPoints or approved documents, you can get away without these lengthy and costly delays in production. Use the SME to clarify things that are unclear or ambiguous, not for design. Use AI to identify learning points and create the interactions. You still have the opportunity to fine tune the content but the AI creates the learning experience, as well as links to relevant content. The review or QA process is another choke point. We get this done, using the actual AI-generated content, so that the actual course is being reviewed. This can be done online, using screen sharing, and changes made live as the content is reviewed. Having developed a method that does produce online content quickly, allowing you to deliver content the same day, in WildFire, we have seen the huge reductions both in time taken and costs. One client has calculated a £452,000 cost saving and produced so much content, so quickly, that the real block was simply testing. In a truly agile process, with not a single face-to-face meeting, the content assets were locked down, AI-generated content produced, QA done using real courses and changes made quickly. The final experience has increased sales and is now being used across the business in other contexts, continuing to improve an already stellar return on investment. Total savings, compared to traditional online learning production, were calculated as “£438,000 plus £15,000 in salary costs”. Delivery has “freed up 15% of manager time” to do other things. “36% increase in sales has already been recognised in the first few months the training has been available”. As the client says “With a bit of lateral thinking and a lot of tenacity – seemingly impossible timescales were met”.